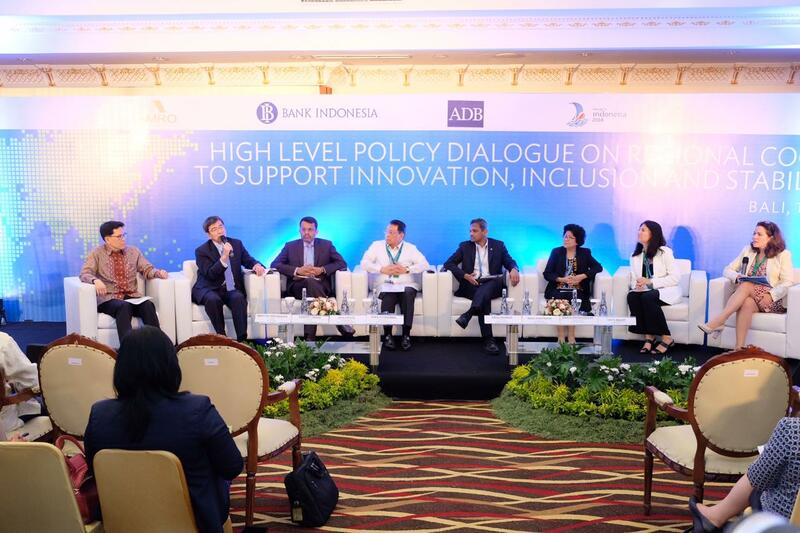 Co-organized by Bank Indonesia, the Asian Development Bank (ADB), and the ASEAN+3 Macroeconomic Research Office (AMRO), the high-level policy dialogue aims to shed light on key drivers of innovation in financial technology and their implications for financial inclusion and stability. It will also discuss the role of regional cooperation, policy makers including central bankers and financial regulators in managing this process. Policymakers from the Asian region, think-tanks, institutes, academia, and centers of excellence, NGOs and civil society organizations, embassy/trade commissioners are encouraged to join. Please join through the registration page. What are the new opportunities and challenges associated with rapid technology-driven transformation in the region’s financial systems and markets? What are the key policy and regulatory issues to unlock the technology potential and minimize the adverse consequences? How can we harness the technology potential to facilitate financial development and help the region meet its long-term development needs, promote greater financial inclusion, and maintain financial stability? In particular, how can we ensure FinTech solutions to assist those currently excluded from financial services and help them engage in economic activities and enjoy the growth benefits? What is the role of the private sector, financial regulators, and policy makers in promoting innovation and facilitating the use of greater financial technology to support Asia’s development goals while safeguarding financial stability and security during the revolutionary transformation? What is the role of international organizations and MDBs in shaping a more consistent, harmonized, and sufficient regulatory framework and creating an enabling environment, including international rules and standards? 1. 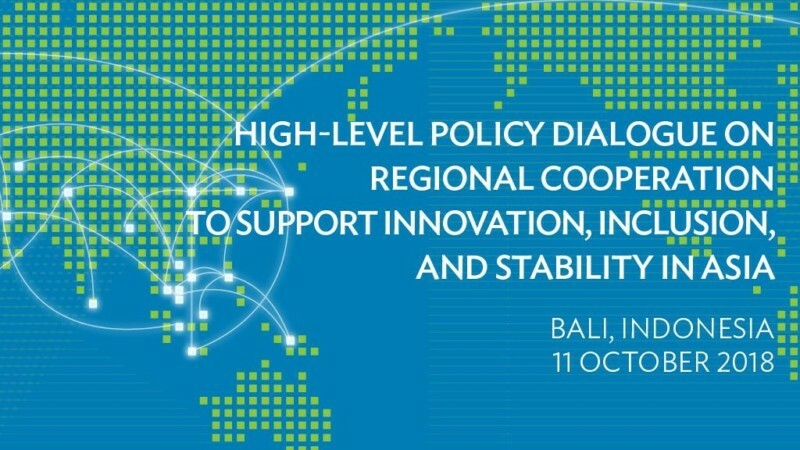 A warm welcome to this High-Level Policy Dialogue co-organised by AMRO, the ADB and Bank Indonesia! 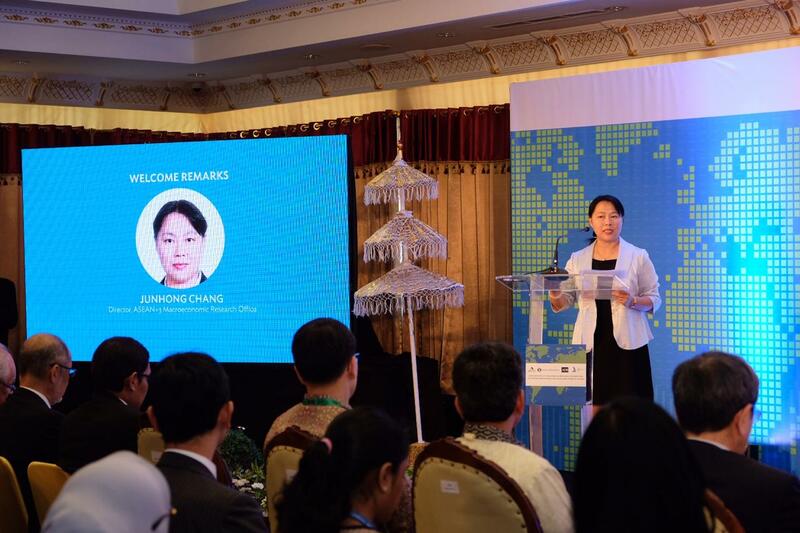 This Dialogue is a good example of regional cooperation, and in keeping with the theme of technology, it is most appropriate that we are here in Indonesia, with one of the most social media-savvy populations in the world. I read in a recent news article that Bank Indonesia has more 600,000 Twitter followers – the largest Twitter account of any central bank including the U.S. Federal Reserve – a testament to Bank Indonesia’s commitment to clear policy communication. I understand ADB is also now livestreaming this event on its Facebook page. 2. Asia is a technologically vibrant region. AMRO, in our annual flagship report published in May this year, examined the role of technology as a global structural force. We found that technology is a double-edged sword in our region’s “manufacturing for exports” strategy. On the one hand, automation can potentially reduce demand for unskilled labor. On the other hand, technology has facilitated the emergence of the services sector by making services tradable across borders, making services a potential new engine of economic growth and employment in our region. Technology is an enabler that weaves our economies and financial systems together, transmitting benefits but also risks across borders. Given East Asia’s rapid economic growth, understanding and managing the impact of technology in our financial systems is essential to maintain financial stability. 3. 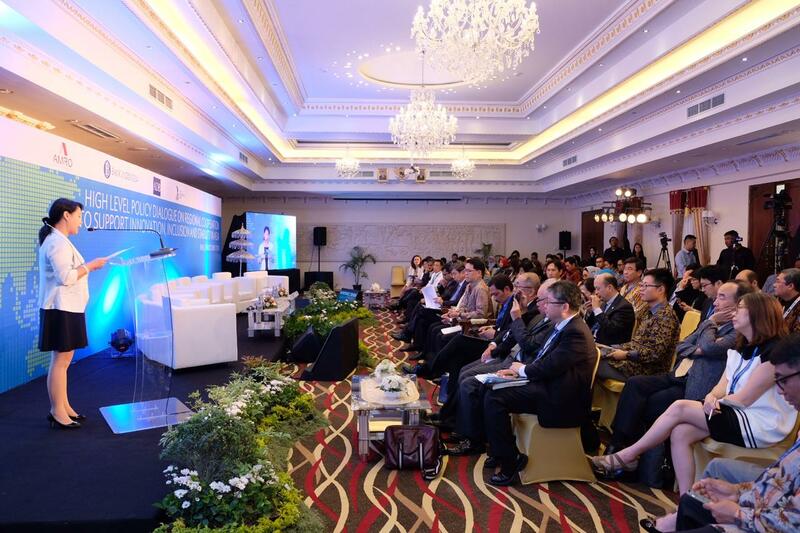 As policymakers from central banks and ministries of finance gather in Bali this week, prioritising financial stability in the current global environment must surely be at the top of their agenda. While our economies are still enjoying a boost from global external demand and the technology cycle this year, the risks of trade protectionism and global financial tightening are clouding the outlook for next year. Last week, AMRO released our revised growth forecasts for the fourteen economies in the ASEAN+3 region. For the ASEAN+3 region as a whole, we have maintained our growth forecast at 5.4 percent this year, but revised our forecast for next year down to 5.1 percent. This week, the IMF also released its forecasts for global growth, which is trimmed from 3.9 to 3.7 percent for this year and next. For the ASEAN+3 region, the IMF’s growth forecast is the same as ours for both this year and next. 4. AMRO has been closely monitoring the risk of rising trade protectionism and its impact on the region. In May this year – before the U.S. escalation of tariffs in June – we did a simulation of a limited trade war between the U.S. and China and the results show that such a scenario can shave 0.2 to 0.4 percentage points off both U.S. and China’s economic growth. Other economies in the region, depending on their level of integration into global value chains, are also negatively affected. With the escalation in the past three months, we have revisited these estimates, and in a worst-case scenario, the reduction in growth could be up to three times higher. The IMF has done its own simulations, and its estimates and ours consistently show that both the U.S. and China would lose in a trade war. Although there could be trade and investment diversion to the region from China, these effects take time to materialise and in the meantime, the spillovers on the region will be significant and negative. More importantly, the disregard for international institutions and a rules-based multilateral trading system, sets a dangerous precedent, and the region, among the most open to international trade, has to rally to defend this international system that has worked so well for so many nations. 5. The second risk of tighter financial conditions is well anticipated by financial markets and policymakers in our region and, so far, the U.S. Federal Reserve has communicated its intentions clearly on its rate hike path. Emerging markets in our region have received large capital inflows over the past decade, and some pullback, in line with other emerging markets, is to be expected. The normalisation process need not be disruptive. Emerging market valuations are not as high as they were five years ago. Emerging markets in our region have also wisely taken advantage of the strong capital inflows during the past decade to build up reserve buffers, and implemented macroprudential policies to contain the rise in financial vulnerabilities. This has paid dividends as investors differentiated our region from other emerging market regions this year during episodes of financial market turbulence. In recent months, policymakers in our region have also demonstrated clearly through their pre-emptive, frontloaded and ahead-of-the-curve policy measures that they prioritise financial stability in these uncertain times. Nevertheless, escalating trade tensions could interact with tightening global financial conditions to amplify external shocks to our region, and we have to remain vigilant. 6. As Director of AMRO supporting the regional financial safety net of CMIM, it is our mandate to always keep an eye on the risks and stand ready with our policy advice. At this particular juncture, it is critical for policymakers to prioritise financial stability over growth. At the same time, however, the region should not relax its efforts in pushing forward with technology and innovation that brings structural change and productivity to increase potential growth over the long run. We hope that when we look back this time next year at the global economy, we can look back at another year of shared prosperity built on solid foundations of financial stability. Thank you, and I wish you all a fruitful seminar. Click here to access the Photo Gallery of the event.